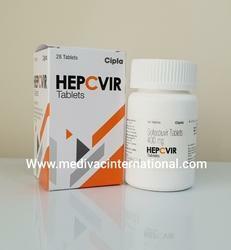 Prominent & Leading Exporter from New Delhi, we offer myhep 400 tablet, hepcivir tablet, sofovir tablet, myhep lvir tablet, sovihep tablets and hepcinat tablets. 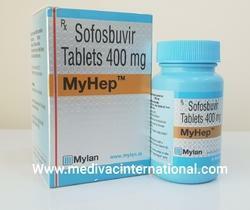 Warning: Sofosbuvir 400 mg is a prescription drug and should be used under proper medical guidance and advice. Do not share the medicine with others, since they may be suffering from a problem that is not effectively treated by this drug. 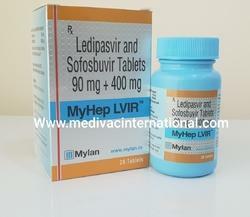 MyHep LVIR Tablet is a pharmaceutical drug that legally requires a medical prescription to be dispensed. 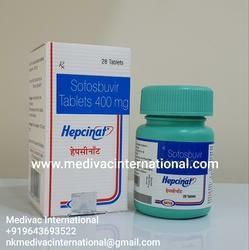 The Sovihep tablets are used for improving immune system or liver after the infection of hepatitis C.
Hepcinat Sofosbuvir 400mg tablet is an antiviral drug which is used in combination with other drugs for the treatment of Hepatitis C Virus (HCV) infection. 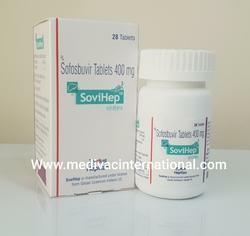 Compared to previous treatments, sofosbuvir-based regimens provide a higher cure rate, fewer side effects, and reduced duration of therapy.